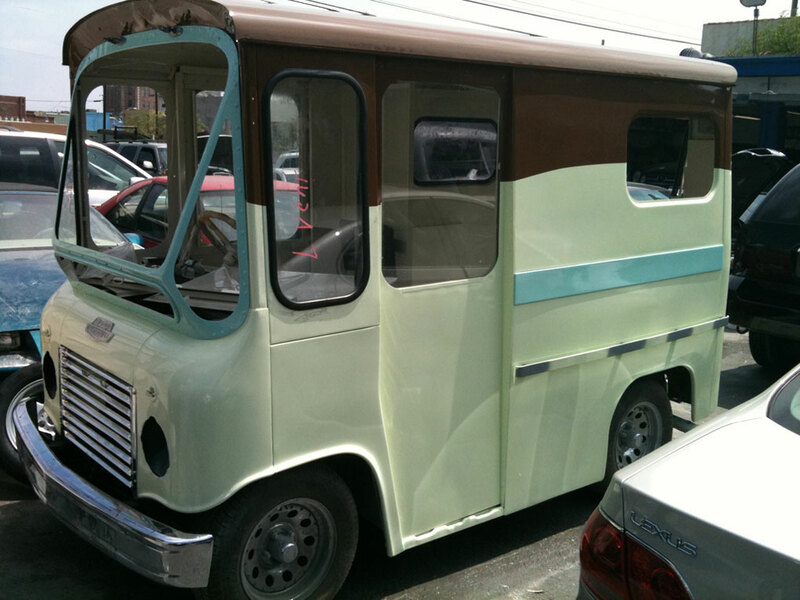 For years, I have been talking about finding the ultimate vehicle to help me do my work. 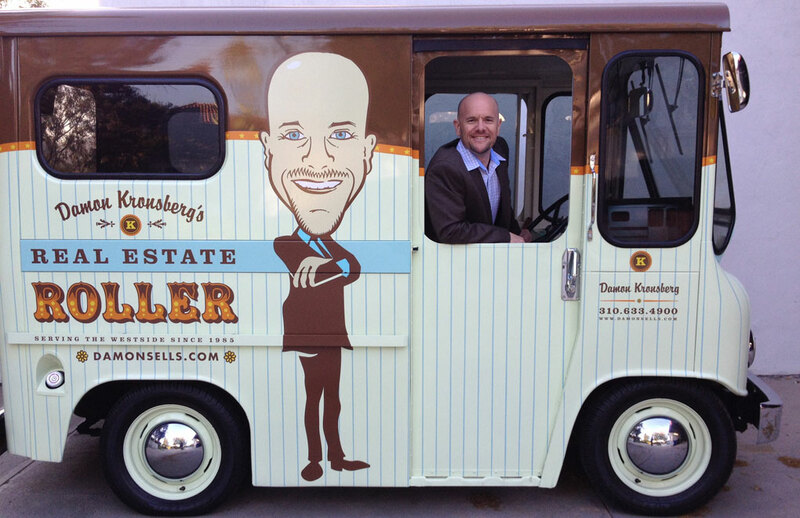 Not a car or a truck, but something more interesting that might rally people and bring some levity to the business of selling homes. 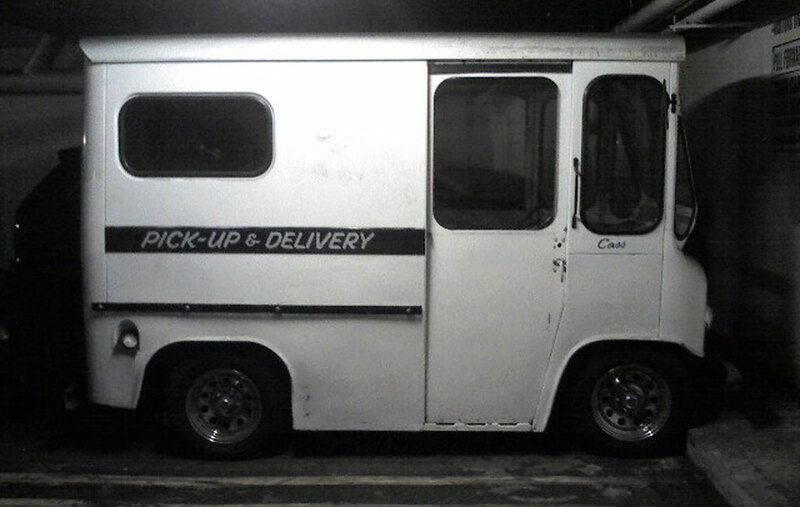 It was early 2009, and I was parking my car in the underground lot next to the Brentwood Country Mart when I saw it… tucked away in the corner and coated in many months of dust; this 50+ year old boxy looking van thing. 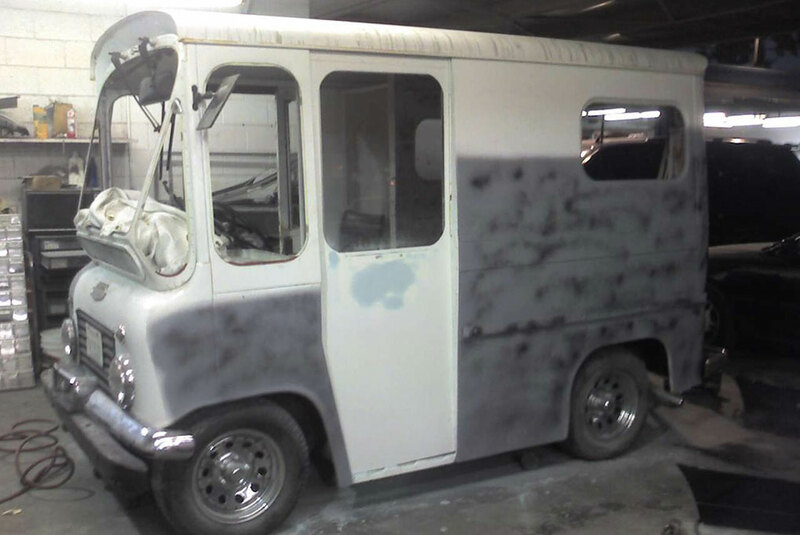 A 1962 Jeep FJ-3, right-hand drive postal delivery van to be exact. I did some asking around to learn that it belonged to a bakery that had recently closed its doors. After some internet investigation I tracked down the owner at City Bakery in New York. Long story short, it was a mess but he was happy to let me have it… for a price. Then came the calls to my people; the body shop, mechanic, design team, and graphics painter, among others. 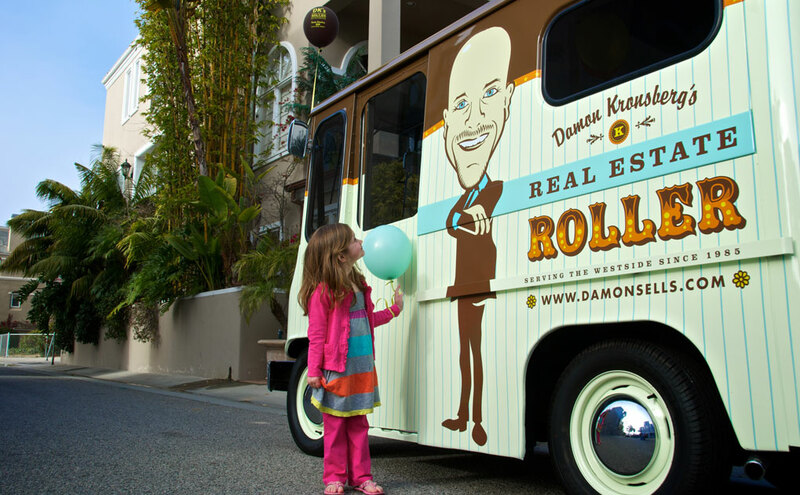 We put our heads together and more than a year later, this is it… The Real Estate Roller. Since then I’ve heard everything from “you’re nuts” to “you’re brilliant.” Personally, I don’t think I’m either. I do think though, that the passion I have for what I do should somehow positively affect the people and community that I live and work in. It is my hope that the presence and spirit of The Roller will uplift people, and in some way, inspire us to give more of ourselves to the issues and causes we believe need the support… And in the process, try and make it all a bit more fun. If you have a community-oriented cause like a fundraiser, environmental project or a charitable event and you think The Roller would enrich the experience, let me know, and The Roller and I will do what we can to support you.